We’ve had a few weeks of extremely hot weather here in Washington, but it finally cooled down significantly the past few days, and it’s been amazing! 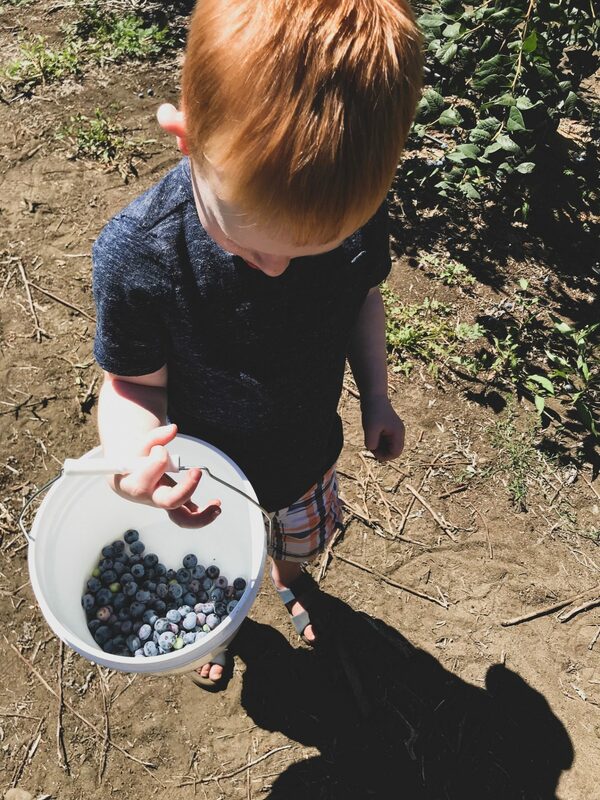 On a whim, we decided to take advantage of the beautiful (and slightly cooler weather) and go berry-picking here in beautiful Washington State. 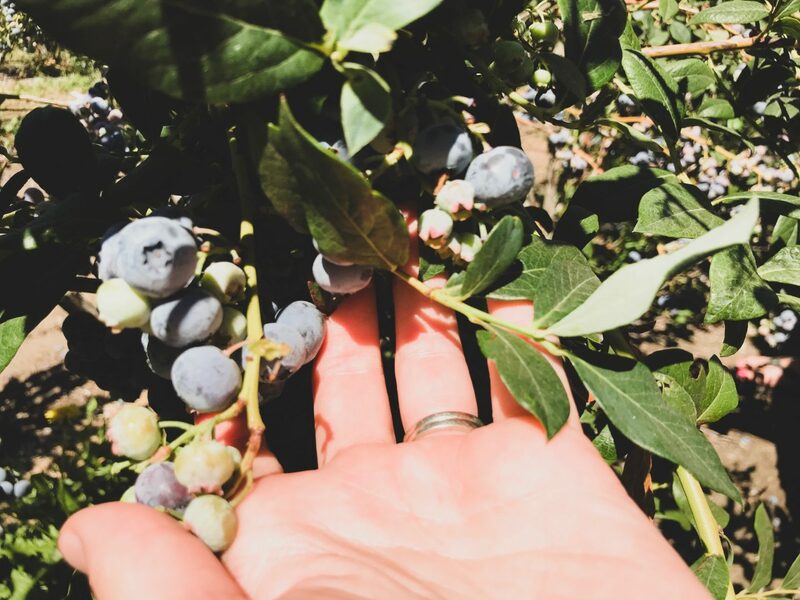 We enjoyed picking blueberries at Tug Hill Vineyards, but it was time to find a new place in our new digs. 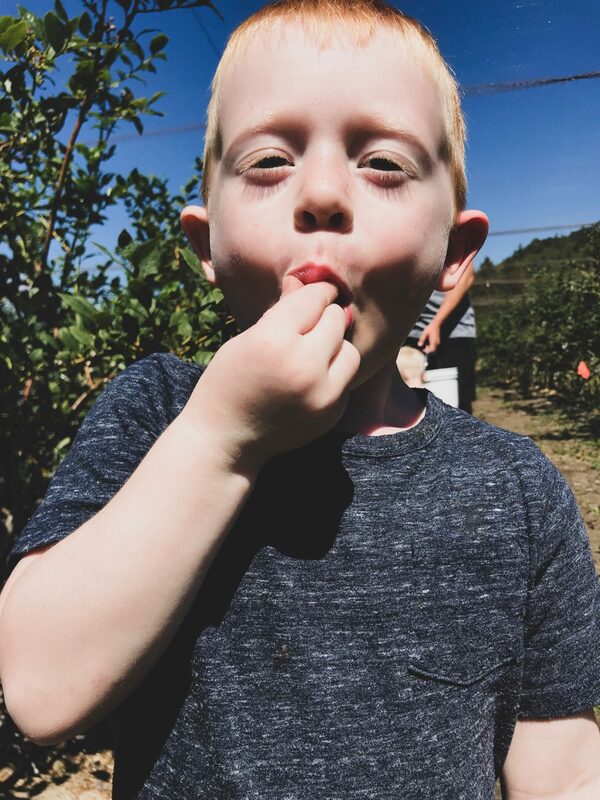 Luckily, our cousins did some legwork and found Spooner Berry Farms out in Olympia. 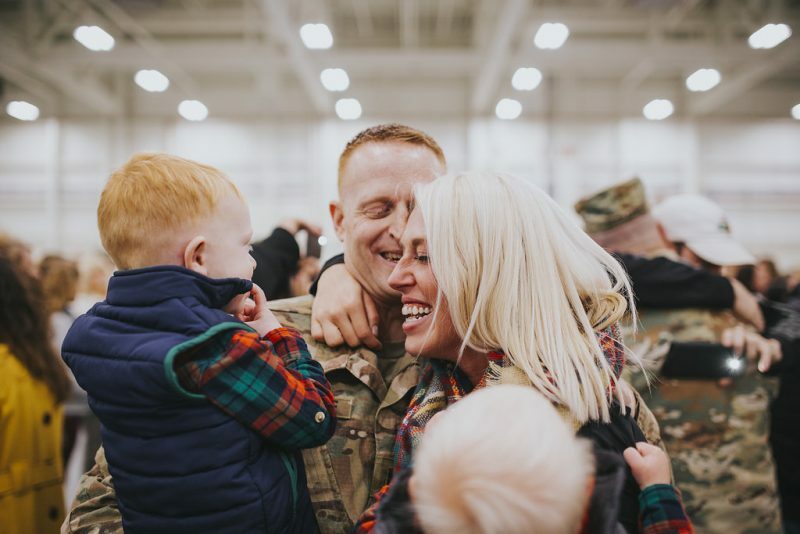 About 30-40 minutes from JBLM, it was a no-brainer. I packed up the boys and Danny, and we headed towards Olympia, where we met up with our cousins and headed out on a berry-picking adventure. Little did we know, Spooner Berry Farms has more than one location. After a little snafu where we ended up at a roadside stand instead of the u-pick place, we headed back down Yelm highway for another 7 miles – yeah, we were a little off – and finally made it to our destination. Honestly, I wasn’t sure what to expect because I don’t know what berry season we’re in here in the PNW, but apparently, we’re at the tail end of blueberry season, and we missed strawberry season by a month or so. Oh, and we’re just about to head into marionberry season. But I digress. When I say that the blueberries were ripe for the picking, I don’t use that phrase lightly whatsoever. 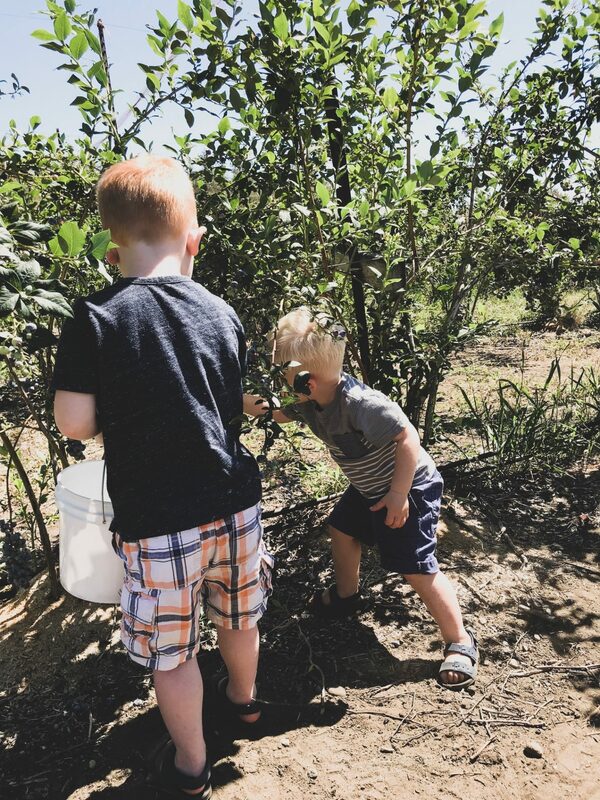 These blueberry bushes were so plentiful that they were nearly drooping under the weight of the berries, and my boys were in heaven. The sweet owner came over with buckets, and we got to work. Porter helped all of us intermittently, while Spencer was very proud to have his own bucket to fill this year. I loved peeking over and watching him pick those plump berries when he thought nobody was looking and popping them in his mouth. 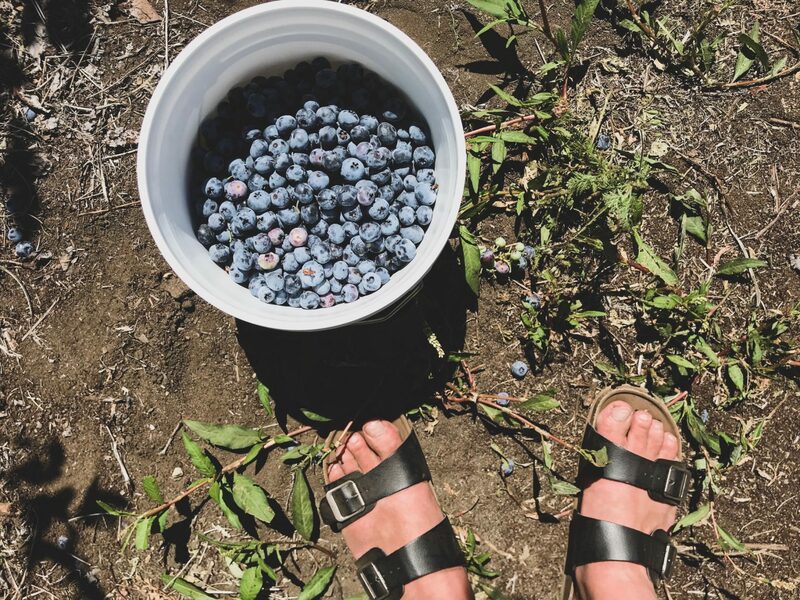 He had those little telltale stains of blue around his mouth, and he was so excited to pick the ripest berries and plop them in his bucket. Surprisingly, both boys did really well not picking too many green berries, and our buckets quickly filled. 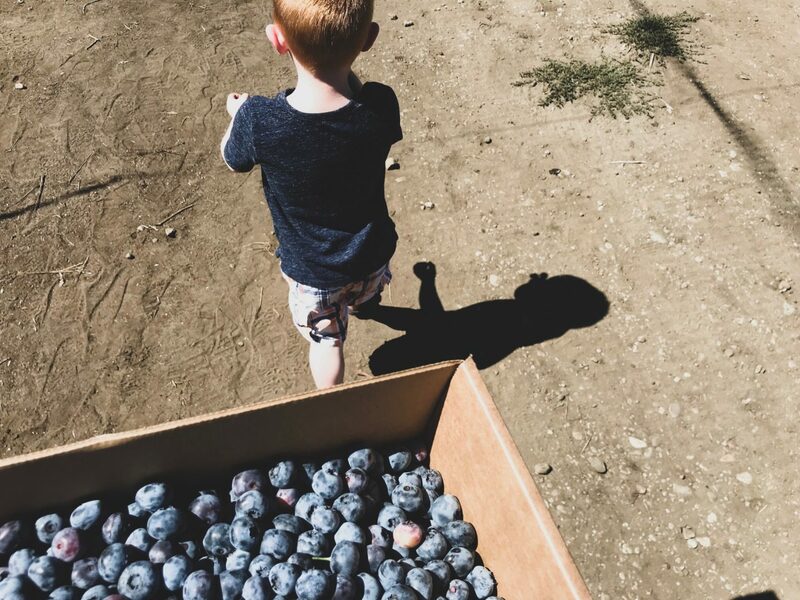 After a little mishap where we left the two-year-old to mind a bucket of berries, which he proceeded to dump, we refilled the buckets and ate just a few more berries before we went to weigh them. At just $2.95 a lb – totally fair – we left with over 7 lbs of berries for the boys and me, and the cousins left with almost 20. I froze half last night, and I’ll be making muffins, pancakes, and keto treats for the boys for the next few weeks. And, if we’re lucky, Ryan might just make it back in time for some berry goodness, too! We absolutely loved this spontaneous day trip as a family. It was fun, delicious, and something I guarantee we’ll do again while we’re stationed here.